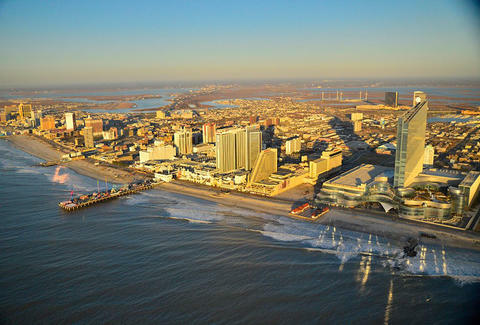 Because red and black aren't the only places to land in AC, we took a spin around every resort in town to weed out the zeros and the double zeros. The result? Eight winning bets you'll want to make every time. Revel 500 Boardwalk; 609.572.6488 Because you're tired of hanging out in the (yawn) third tallest casino tower in the country, mix things up with the much-cooler, second tallest casino tower. 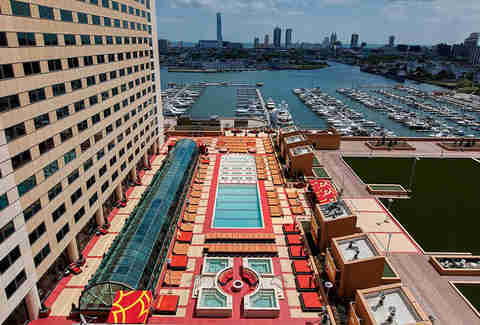 This 47-story Boadwalk anchor's located on 20 acres of beachfront awesome, packed with two nightclubs worth of EDM and burlesque, one sun-lit dayclub, a dozen restaurants, and two acres of rooftop decks deep w/ pools, cabanas, fire pits, and a Sky Garden. 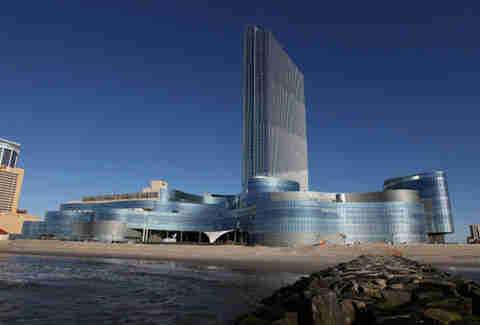 Borgata Hotel Casino & Spa 1 Borgata Way; 866.692.6742 This marina-side megaresort's the gold-glassed standard for AC gaming, with a 160,000sqft casino floor offering automated roulette, War (! 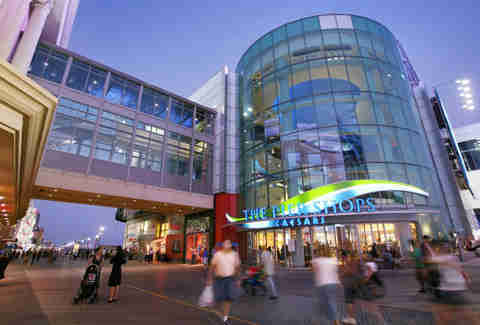 ), and a massive poker room built atop a 24hr food court for your early-morning Fatburger fix. Want to gamble over room service? The Borgata's the only hotel to offer in-room gaming. Just don't pass up the action at the hotel's two Questlove-frequented nightclubs, meateries from Bobby Flay and Wolfgang Puck, and the guests-only Brigantine Beach. The Chelsea 111 S Chelsea Ave; 800.548.3030 A block off the Boardwalk, the Chelsea's actually two hotels in one: the '50s-era, motor-inn Annex houses amenities like a ground-floor salt water pool and old school coffee shop dishing up three-meat breakfast challenges, and the Luxe tower is stacked with a secluded rooftop pool w/ pitchers of cocktails, plush ocean-view rooms w/ retro bar snacks, and a fifth-floor nightclub that hosts weekly parties that are anything but old-fashioned. Harrah's 777 Harrahs Blvd; 609.441.5000 You can satisfy all your reality television dreams at the original marina casino resort, dancing til dawn at The Pool After Dark, Harrah's' palm treed, Kardashian-friendly megaclub, and laying it all down at a World Series of Poker tournament. Be sure to lay yourself down in one of three hotel towers and swim in the sheets of your panoramic waterfront corner suite. 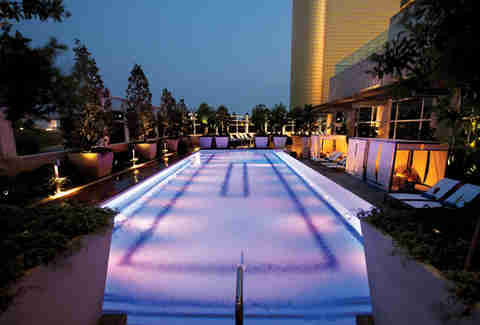 The Water Club 1 Renaissance Way; 609.317.8888 The only AC hotel with room service from an Iron Chef, the Water Club is Borgata's 43-story, spa-themed Shangri-La, allowing you to work off cheesy mashed potato pots and marshmallow-studded sundaes at any one of the property's five pools -- one 25-yard lap, two indoor heated, and two outdoors, all with infinity edges and expansive views of the local environs. There's also the two-story, 36,000sqft, Asian-inspired spa, a green-marbled retreat offering 180-degree ocean views, a full gym, plus 16 sauna and massage rooms. The Golden Nugget 1 Castle Blvd; 609.441.2000 The only casino with its own marina, you can keep an eye on your boat and/or the helicopter landing on said boat 24/7 from one of the former Trump Castle's 728 guest rooms. It boasts a massive rec deck equipped with tennis and basketball courts, an outdoor pool, a jogging track, and health spa. House club Haven has a separate Veranda section, AC's first outside gaming deck. Caesars 2100 Pacific Blvd; 609.348.4411 Go roamin' yourself at Caesars Palace, a dual-towered boardwalk gaming temple tethered to the ocean by a three-story pier stacked with Stephen Starr restaurants, designer boutiques, and an Apple store, the perfect place to Google how to access the hotel's seasonally themed rooftop pool party deck (hint: it opens when the spa that conceals it closes up shop for the night). 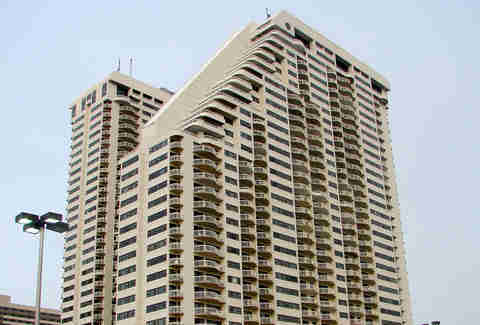 Ocean Club Towers 3109 Boardwalk A 34-story beachfront highrise between the Atlantic Club and Tropicana houses this one-bedroom ocean-view luxury condo packed with amenities you'd be gambling on anywhere else. Watch TV from every room, or stare at AC from your 17th-story balcony, from where you'll have a prime vantage point when it comes to checking out the massive, glassed-in pool tucked into their elevated deck (probably the only deck stacked in your favor).